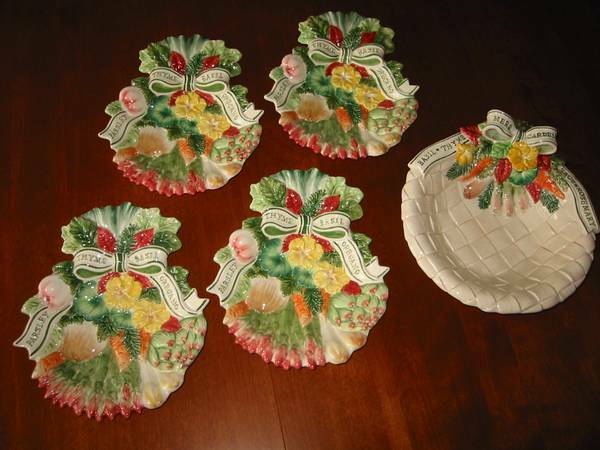 Four (4) Canape/Dessert/Salad Plates and a 10" Matching Serving Bowl. 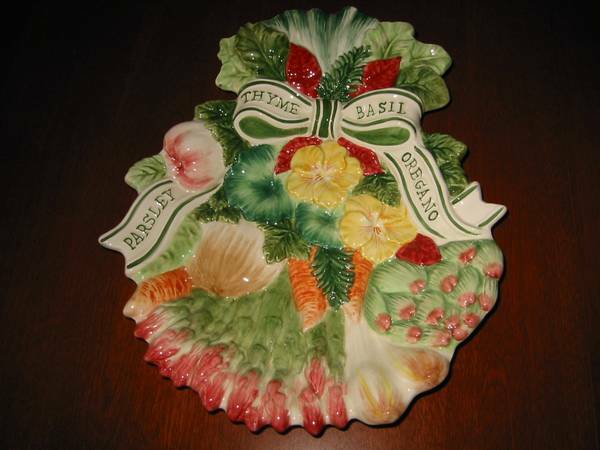 The Fitz & Floyd pattern is called "Herb Garden." They are all BRAND NEW and have never been used. Everything is PERFECT and will speak for itself when viewed. No chips, no cracks, no repairs!!!!! Selling TOGETHER AS A LOT for $50. CASH ONLY. 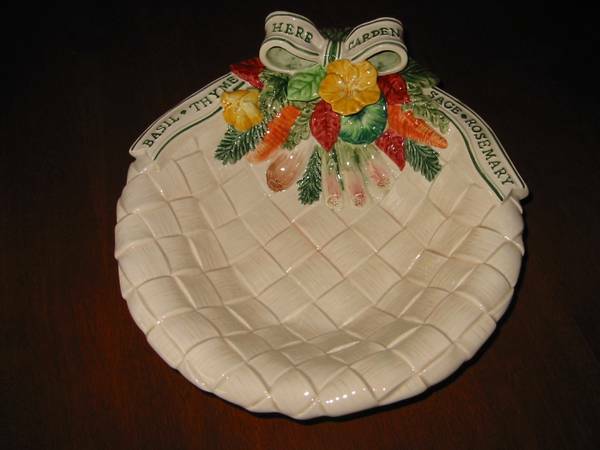 ITEMS ARE PERFECT, SUITABLE FOR GIFT GIVING !!!!! !